This book suggests that the enduring problem of generations remains that of knowledge: how society conceptualises the relationship between past, present and future, and the ways in which this is transmitted by adults to the young. Reflecting on Mannheim’s seminal essay ‘The Problem of Generations’, Bristow explores why generations have become a focus for academic interest and policy developments today. She argues that developments in education, teaching and parenting culture seek to resolve tensions of our present-day risk society through imposing an artificial distance between the generations. The dominant cultural script for Baby Boomers is that they have ‘had it all’ – the benefits of a booming economy, the welfare state, and personal freedoms – thereby depriving younger generations of the opportunity to create a life for themselves. 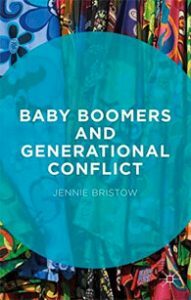 Bristow provides a critical account of this discourse by locating the problematisation of the Baby Boomers within a reductive ‘demographic consciousness’, and an ongoing ambivalence about the legacy of the Sixties. At the heart of generational conflict is the mediation between past, present, and future: where society is preserved and made anew by the interaction between emerging adults and the existing cultural heritage. However, this process of cultural renewal is situated within people, who also exist within intimate relationships. This book critiques the troubling consequences of ‘Boomer blaming’ for the construction of knowledge, the focus of social policy, and the experience of generational contact. “Scan the cultural and political landscape today and it’s hard not to conclude that Western society is experiencing a pronounced blurring of generational standards. The current furore over the ‘Baby Boomer generation’ only adds to this perception. 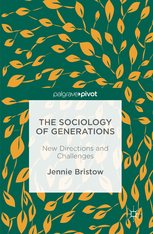 Jennie Bristow’s new book brings much needed clarity to all this generational confusion, and does so with no small amount of insight and flair. Required reading for social scientists looking for a considered introduction to ‘generationalism’, or anyone heading for retirement who wants to avoid a future of nonsensical stigmatisation.” – Professor Keith Hayward, University of Kent, UK. Why do we live at a time when the minutiae of how parents raise their children – how they feed them, talk to them, play with them or discipline them – have become routine sources of public debate and policy making? Why are there now so-called ‘parenting experts’, and social movements like Attachment Parenting, telling us that ‘science says’ what parents do is the cause of and solution to social problems? 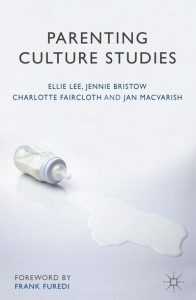 Parenting Culture Studies provides in-depth answers to these features of contemporary social life drawing on a wide range of sources from sociology, history, anthropology, psychology and policy studies to do so, covering developments in both Europe and North America. Key chapters cover the ‘intensification of parenting’, the rise of the ‘parenting expert’, the politicizing of parent-child relationships, and the weakening of bonds between generations. 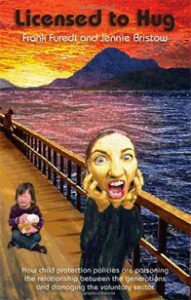 Five essays detail contemporary examples of obsessions with parenting, discussing drinking and pregnancy, attachment theory, neuroscience and family policy, fathering, and ‘helicopter parenting’. The Introduction situates parental determinism in the wider context of risk consciousness and the demise of social confidence about how to approach the future. Comprehensive in scope and accessibly written, this book will be an indispensable resource for students, researchers, policy-makers and parents seeking a deeper understanding of the debates surrounding parenting and society today. Watch the authors talk about the book. Read a review of the book by Stephanie Knaak on the Huffington Post, this from Nancy McDermott on spiked, this from Brid Hehir in Community Practitioner or this from Katie Dow in the Times Higher. In the UK, the Safeguarding Vulnerable Groups Act 2006 requires that, from October 2009, 11.3million people – over one quarter of the adult population of England – must have their criminal records checked in order to work, even as a volunteer. Parenthood, we are told, requires a massive adjustment to our lives, emotions, and relationships, and we have to be taught how to deal with that. But can it really be so bad that we need constant counselling and parenting classes? It is a myth that today’s parents are hopeless and lazy: in many ways, we have become too diligent, too hopeful of great outcomes and clear rewards, to the point where we lose ourselves in trying to provide some kind of professional service to our children. The current obsession with perfect parenting increases our insecurity and distrust of each other, and diminishes our authority over our kids. 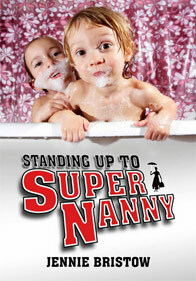 This book is about asking: Why have we invited Supernanny into our living rooms – and how can we kick her out?